yoga | Fit Girl. Happy Girl. Legs Up the Wall Week! My legs, up ‘da wall. Legs Up the Wall is a yoga pose in which you lay on your back, scoot your bum right up to the wall and put your legs up against said wall. You want to lay here for 5 to 30 minutes, or really as long as you feel comfortable. You can put your arms wherever you want too- over your head, down by your side or outstretched. Sounds simple, right? It is, and it feels absolutely amazing! For runners, this is a really great yoga pose and probably my favorite aside from savasana (which doesn’t really count). As runners, we spend a lot of time on our feet and legs and we rarely give them a chance to full relax and just be still. It’s also a great hamstring stretch after a long run and can help loosen up those muscles. When I do this, I also feel a great release in my lower back, an area that does more work than one might think while running. I know it’s already Thursday but I’m going to partake in Legs Up the Wall week, will you join me? 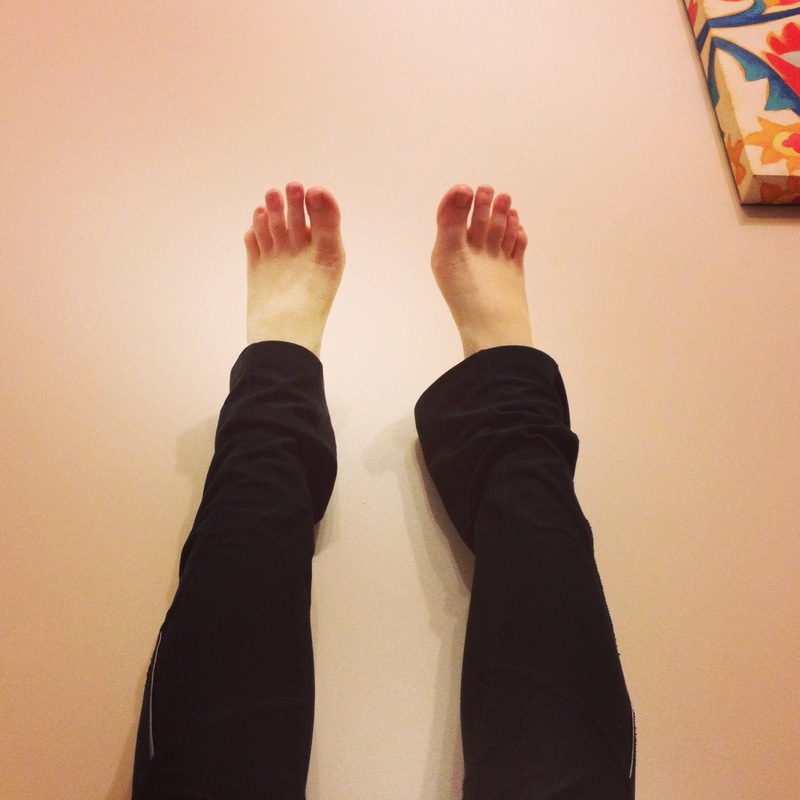 If you do, make sure you take a picture on Instagram and use the hashtag #legsupthewall to show Lululemon! While you’re at it, follow me on Instagram here! Last weekend I tweaked my knee during a race and it was extremely painful. I’m still not 100 percent sure what I did but it feels like an IT band irritation. In an effort to not hurt it even more I decided to forgo my 12-mile run last weekend and do some real resting. It was absolutely killing me not running. I saw other runners out on the road and I just wanted to get up and go. But I knew if I started up I could risk hurting myself even more so I really rested. Today was my first day back on the road and I decided to do a 3-mile run along the beach (on the road not the sand). I woke up, had some coffee and a few glasses of water. I went outside and it was really humid and already 85 degrees at 8:30 a.m. but I went ahead and did my stretches and headed out. Starting out my knee felt fine and I was just so happy to be back running. About 1-mile into the run I started to feel the pain in my knee, but it wasn’t so strong that I felt like I needed to stop. So I kept going. Around mile 2 my knee was really starting to bother me so I decided to stop and do a few stretches. After stretching I started my final mile and my knee felt the best it has it days. I don’t know if it was the stretching that helped or my adrenalin kicked or what but I felt great! Overall, I thought the run went really well! I was so happy to get back on the road even though I was only out for five days but it felt great. 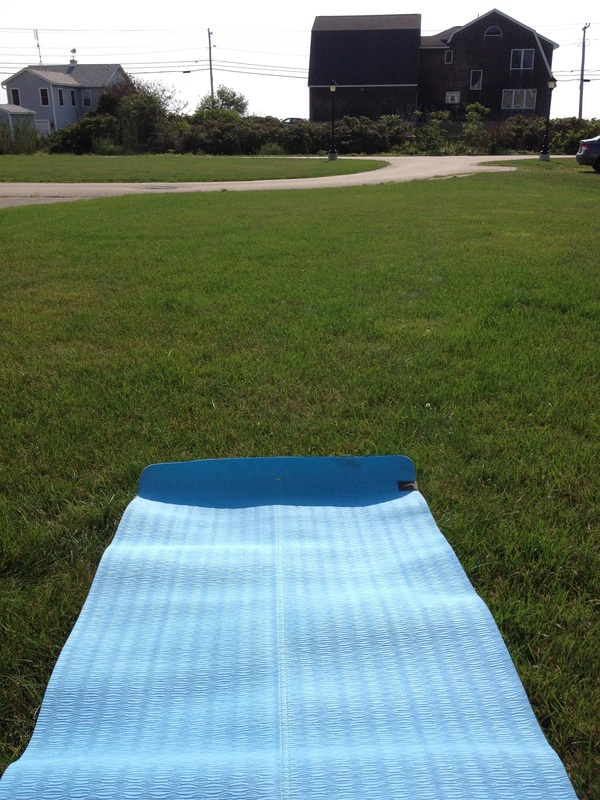 After the run I did some outdoor yoga and other stretches to make sure my knee was going to be OK. Moral of the story? When you’re hurt, rest. Don’t overdo it because you could get even more injured. I’m hoping to get out running again tomorrow and try to do a longer run along the coast. I hope everyone else is having good runs this week. Happy running! 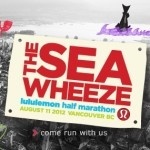 As I’ve been training for the half-marathon in September, I’ve been using the Lululemon SeaWheeze half-marathon training app on my iPhone. On the non-running days it suggests doing yoga to help stretch and strengthen the muscles in your legs. Unfortunately, my gym doesn’t offer yoga or any group fit classes so on these yoga days I usually just ignored it and went running anyways. That was until I discovered the Lululemon YouTube channel! What a treasure! 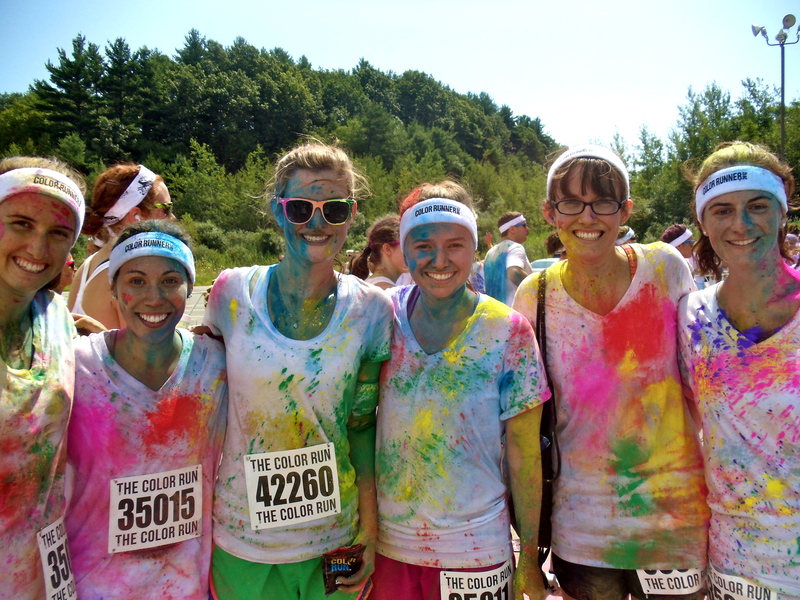 They have a bunch of yoga videos geared specifically toward running the half-marathon, as well as other yoga videos. I had used some of the short post-run yoga, or what they like to call “Run into Yoga (RINY)” in the app but I never explored outside of it. When I found these videos last night I decided I would wake up early this morning to do a power yoga video because today was supposed to be a “rest” day. It was fantastic! In the app, Lululemon describes power yoga as “a high-intensity, fast-paced style that emphasizes overall body strength and stamina.” They also say it’s a great way to build “balanced strength” which is especially good for runners. My legs have been super tight this week and I don’t know about you but those pesky hip-flexors are the hardest to stretch out but this power yoga video was great for that. Posted below is the power flow yoga video I did this morning. I would also highly recommend visiting Lululemon’s YouTube channel, hit subscribe and give yoga a try.